Camping Pillow Comparison: Which pillow is the best? We've spent nearly a year testing different camping pillows. Here are our results. Which is the best camping pillow?  Planning on taking your tent on a family holiday? We go through some items you can take camping to make it a fantastic holiday tent. We review a couple of add-on items from Outwell that could help improve your camping sleeping experience. Here's some essential items to take to ensure your child has a good night when camping. Confused by Sleeping Bag Temperature ratings? Not sure what the Sleeping Bag seasons are? Read our guide to avoid getting the wrong bag and getting cold at night. Not sure why you would want to get a sleeping bag liner? We look at what they are for and why you would want to get one, plus we review and compare two sleeping bag liners. Getting started with family camping? You'll want to read these tips on what works best for sleeping, including tips you won't get at your camping store. Part of what makes a self-inflating mat great is that they self-inflate, but this works against you when you need to roll up your mat and get it back into the bag. Here we show you how it is done. Self Inflating Mats can save you time and space, but most of made for backpackers, not family campers. Here's our recommended SIMs for family camping. Camping needn't be for summer months only. Here are some great four season sleeping bags to keep you warm during winter, and explains what the ratings mean.